Mainly leaner cows forward with trade brisk and averages up 16p on the week. The sale topped at 140p for a Charolais cow sold by Messrs Baxter, Moss Side. Stock bulls sold to 136p for a Galloway from Eskdale Forestry Ltd, Clerk Hill. Top price per head was £1,074.40 again for a Galloway stock bull from Eskdale Forestry. 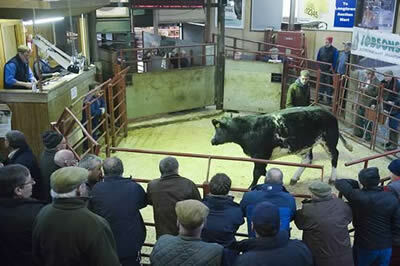 Another good selection of prime cattle with the sale averaging 229p. 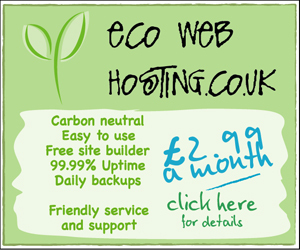 plenty of demand and more needed on a weekly basis. The sale was topped at 247p for a wonderful black Limousin heifer shown by J. Jardine, Yett purchased by W. Kirkup & Sons Butchers, Longtown. Next best was 239p twice, firstly for another Limousin heifer sold by A & WJ Taylor & Son, Dashwell Green and bought by M J Wharton, Wholesale Butcher, then for one from A & JN Story, Newbiggin and purchased by Worsley Wholesale Butchers. Top price per head was £1,502.85 for a British Blue heifer sold by A & WJ Taylor, Dashwell Green. Limousin Heifer 247p Yett, 239p, 238p Dashwell Green, 239p Newbiggin, 236p Englishtown, 224p Newbiggin, 222p Dashwell Green. British Blue Heifer 233p, 230p Dashwell Green. Angus Heifer 222p High Stenries. Charolais Heifer 235p Dashwell Green, 216p High Stenries. Charolais 140p, 118p Moss Side. Galloway Bull 136p Clerk Hill, 115p Emblehope. Beef Shorthorn 132p Pilmuir, 128p Newland, 125p, 122p Hallsford. Red Poll 131p Newbie Barns. Angus 128p, 122p Rigg Smiddy. British Blue Heifer £1,502, £1,460 Dashwell Green. Angus Heifer £1,465 High Stenries. Charolais Heifer £1,445 Dashwell Green, £1,371 High Stenries. Limousin Heifer £1,410 Dashwell Green, £1,395 Yett, £1,386 Newbiggin, £1,356 Dashwell Green, £1,309 Englishtown, £1,306 Yett. Galloway Bull £1,074 Clerk Hill, £908 Emblehope. Beef Shorthorn £979 Newlands, £925 Hallsford, £825 Pilmuir. Angus £860, £748 Rigg Smiddy. Texel 344p, 318p, 315p, 306p Hermitage, 305p Easter Ochtermuthill, 304p, 289p Old Rectory, 286p Kilnhill, 282p Lanehead & Easter Ochtermuthill, 276p Oakdene, 273p Springfield, 271p Old Rectory, 268p Easter Ochtermuthill, 265p The Land. Suffolk 300p, 296p, 289p The Land, 285p Fenton, 283p The Land, 274p Airds of Balcary, 264pWoodhall, 263p Low Hallburn & Creca Hall, 258p Woodhall, 257p The Land, 255p Sceugh Dyke, 254p Fenton, 250p Woodhall. Suffolk £165, £160, £150 The Land, £148 Fenton, £136 The Land, £129 Creca Hall, £117 Fenton, £113 The Land & Guardsmill, £112 Sceugh Dyke. Texel £162, £148 Hermitage, £143 Kilnhill, £140 Old Rectory, £138 Lanehead, £136 Old Rectory, £135 Oakdene, £130 The Land, £122 Old Rectory & Easter Ochtermuthill, £120 Springfield. Dorset £141 Halmyre, £125 Crawfordhall, £110 Halmyre. Zwartble £123, £121, £113 Cleughbrae. 2,706 prime hoggs were a similar entry, with the best meated meeting the strongest demand. Trade overall was dearer than earlier in the week. Top of 282p for Texel hoggs from M & W Fotheringham, Drumcairn, Perth. Heavy hoggs saw many pens between £130-£150 with a top of £161 for Texels from T A Jefferson, Aspatria Hall, Wigton, with others to £153 again for Texels from A R Bell & Son, Kirkton, Hawick. Light hoggs again a fast trade with a top of £86 for 33kg Texels from A Taylor, Heathery Hall, Lanark. Overall sale average 210.9p (SQQ 214.6p). Texel 282p Drumcairn, 277p Aspatria Hall, 261p Scales Hall, Heathery Hall & Broomhills, 259p Scales Hall, 255p Drumcairn, 254p Scales Hall, Drumcairn & Broomhills, 252p Aspatria Hall, 251p Broomhills & Scales Hall, 250p Aspatria Hall, 247p Kirtleton House, 245p Scales Hall. Beltex 281p Aspatria Hall, 271p Heathery Hall, 266p Springfield, 265p Eastside, 254p Hillside, 249p Broomhills, 246p Braithwaite Hall, 242p Aton & Park Nook, 240p Tara, 235p Waterside. Mule 269p Heathery Hall, 230p Barend, 228p West Newlands, 222p Waterside, 216p West Newlands. Suffolk 265p Heathery Hall, 245p Scales Hall, 237p Kirtleton House, 227p Archerbeck, 224p Aton & Keepershield, 216p Swaites, 215p Westernhopeburn & Meadowfield. Cheviot 262p Heathery Hall, 255p West Scales, 238p Stirkfield, 235p Crosscleugh, 233p Crosshow, 232p Meadowfield & Becks, 231p Station Yard, 230p Broomhills, 229p West Scales, 228p Broomhills, 225p Becks, 224p Broomhills, 223p Crosslee, 222p Mallsgate Hall, 221p Crosscleugh, 220p Hallburn & Longburgh Fauld. Blackface 244p, 241p, 240p, 238p, 235p 234p Heathery Hall, 233p Prior Rigg, 230p Barend, 228p Hallburn, 226p Troloss, 223p Newhouse, 221p Meadowfield. Cheviot Mule 221p, 220p Whitton. Swaledale 200p Whitton, 192p Allenheads. Texel £161, £157 Aspatria Hall, £153 Kirkton, £149 Scales Hall & Bowsden Moor, £147 Aspatria Hall, £145 Drumcairn, £142, £141 The Firs, £139 West Scales, £137 Scales Hall & Broomhills, £133 Scales Hall, £131 Yonderton, £130 Drumcairn. Beltex £150 Hillside, £143 Eastside & Park Nook, £141 Waterside, £121 Tercrosset, £118 Aspatria Hall, £117 Broomhills & Springfield. Cheviot £145 Stirkfield, £107 Crosshow, £105 Broomhills, £103 West Scales, £97 Faulding Cleugh & West Scales, £95 Crosscleugh, £93 Netherbrotherstone & Marygate, £92 Broomhills, £91 Faulding Cleugh & Carlenrigg, £90 Longburgh Fauld. Suffolk £135 Kirtleton House & Scales Hall, £129 Bowsden Moor, £112 Keepershield, £111 Scales Hall, £110 Westernhopeburn, £109 Westhills & Whitton, £107 Allerbeck & Yonderton, £104 Kirtleton House. Mule £107 West Newlands, £100 Waterside, £95 Whitton, £94 Westernhopeburn, £93, £90 West Newlands, £90 Allerbeck, £87 Westernhopeburn, Westhills & West Newlands, £86 Heathery Hall, £85 Westernhopeburn & Archerbeck. North Country Cheviot £100 Dearham Hall. Blackface £91, £88 Troloss, £87 Newhouse, £87, £84, £83 Heathery Hall, £83 Barsalloch & Mains, £82 Hallburn, £81 Troloss, £80 Newhouse, Glenrath & Easter Dawyck. A smaller entry of 2,121 cast ewes and rams attracted the usual buyers. Trade was buoyant throughout. 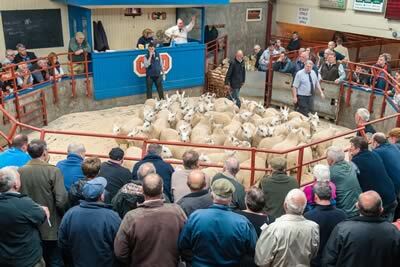 Sale topped at £162 for Texel ewes from R B Darling, Riddle Cottage, Melrose. Hill ewes to £85 for Blackface from M Ridley, Brewery House Barn, Wigton. Charollais rams to £139 from Chaseside. Texel £162 Riddle Cottage, £155 Kirkton, £153 Chaseside, £151, £150 Kirkton, £140 Aspatria Hall, £139 Beckfoot, £138 Tercrosset, £137 Yonderton, Chaseside & Dearham Hall, £136 Aspatria Hall, £135 Springfield, £133 Chaseside, Farshield & Kilnford Croft, £131 Airds of Balcary & Chaseside, £130 Riddle Cottage, £129 Eastside, £128 Dearham Hall, £125 Riddle Cottage, £121 Yonderton. Millenium Blue £148 Middle, £139 Springfield. Charollais £147 Springfield, £129 Chaseside, £127 Beckfoot, £121 Hunderlee Pastoral, £116 Dearham Hall. Beltex £146 Middle, £117 Kilnford Croft. Blue du Maine £143 Beckfoot. Suffolk £135 Beechgrove, £128, £125 Kilnford Croft, £123 Marygate, Chaseside & Beckfoot, £121 Chaseside, £120 Kilnford Croft, £119 Beckfoot, £116 Chaseside, £115 Beckfoot & Upper Mains, £113 Chaseside, £112 Kilnford Croft, £111 Sceugh Dyke & The Land, £110 Marygate. North Country Cheviot £99 Kingside, £85 Whitton, £75 Yonderton, £74 Castlehill, £73 Borlick. Blue Faced Leicester £98 Tinnis & Easter Dawyck, £81 Barsalloch. Mule £91 Oaklands, £86 Thorneyland, £85 Auchlin & Sceugh Dyke, £82, £80 Dearham Hall, £80 Marygate, £79 Sloda Hill, Whitton, Westhills & Archerbeck, £78 Shield Green, Westernhopeburn & Easter Dawyck, £77 Marygate, Barsalloch & Archerbeck, £76 Townhead, £75 Brewery House Barn & Upper Mains. Blackface £85 Brewery House Barn, £69 Liddesdale Road, £67 Walton Park, £65 Crindledykes, £62 The Row, Kingside, Troloss & Easter Dawyck, £61 Sorbie. Cheviot £74 Kirkton, £70 Kingside & Carlenrigg, £69 Crossdykes, £65 Sorbie, £59 Barsalloch & Sloda Hill, £57 Craighousesteads, £55 Kingside. Swaledale £71 Whitton, £69 Blakelaw, £68 Broomhills, £64 Todhillwood, £60 Hepplehill, £59 Hollin Close, £58 Newbiggin & High Parkfoot, £57 Archerbeck & Pry Hill, £54 Westernhopeburn, £52 Hepplehill, £51 High Lovelady Shield, £50 Whitton. Herdwick £66 Aspatria Hall & Sloda Hill. Texel £130 Nunnerie, £126 Kirkton, £122 Nettling Flatt, £120 Nunnerie, £112 Beckfoot. Blue Faced Leicester £89 Whitton.